Here is the Opportunity quilt that will be displayed at the Dogwood Festival. 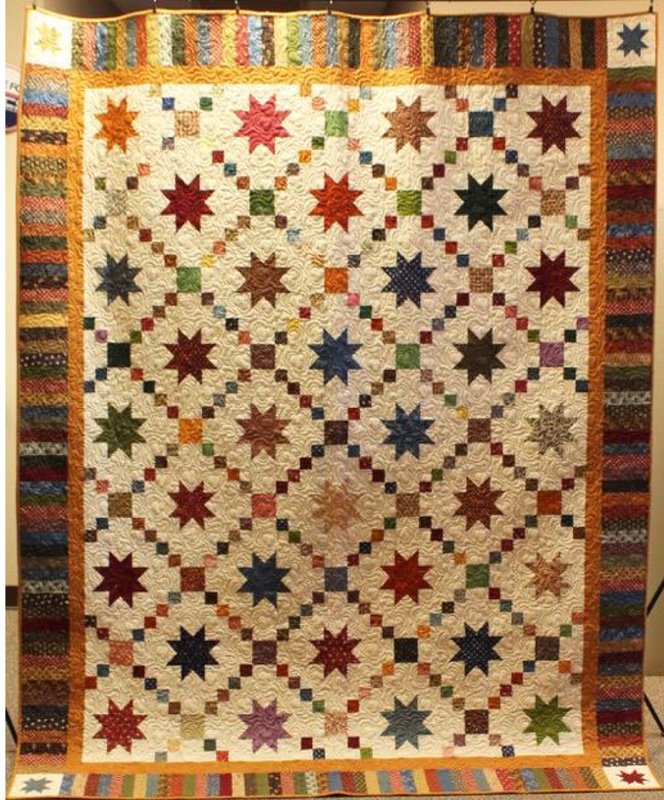 The Opportunity Quilt is made from reproduction civil war fabrics designed and made by many of the guild members to be raffled off to fund our three charities: baby quilts for the Siloam Springs Regional Hospital, Quilts of Honor for at the VA Home and pet blankets to aid our local shelter. 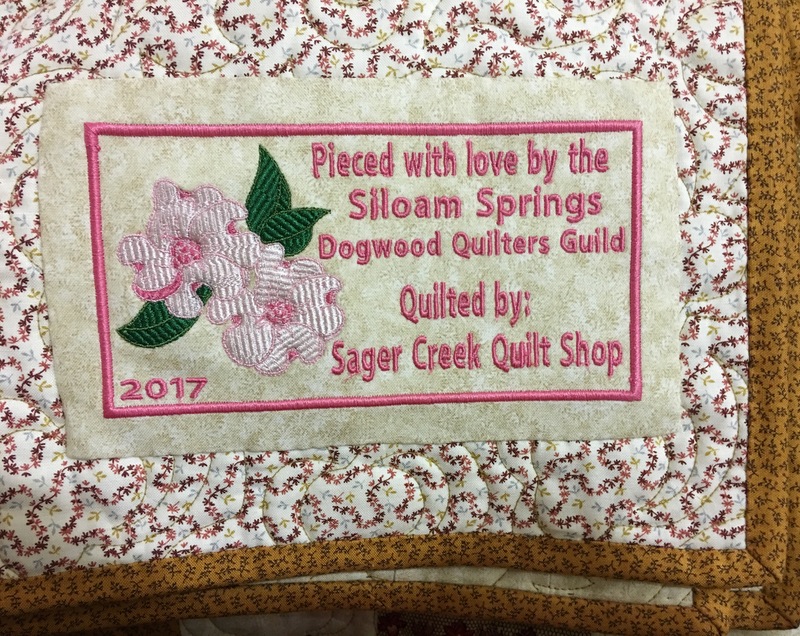 The quilt will be displayed at our annual Airing Of the Quilts during the Dogwood Festival at Grace Episcopal Church, 617 S Mt. Olive just up from downtown Siloam Springs. The Festival begins April 28th – 30th. The label is embroidered beautifully by our local artist Suzy Matthews. I cannot believe the 4th month of the year is upon us already upon us! So many projects to sew and do! Join other quilters this next Friday and Saturday at Q.U.I.L.T.’s Show “Tomorrow’s Heirlooms XVI”, April 7- 9am to 6pm and April 8- 9am to 4pm. 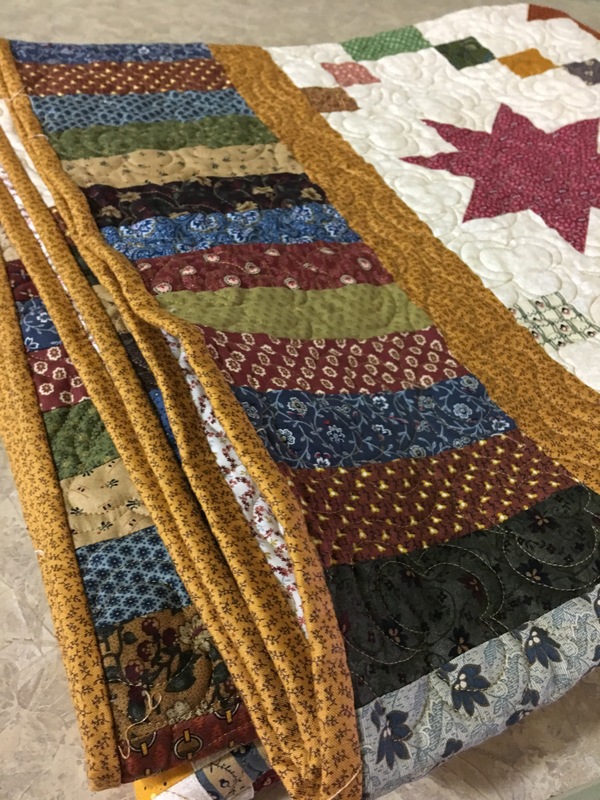 There will be an auction, booths, 350+ quilts, “bed turning”, a Quilt store, appraisers, raffles, and bring your scissors if they need sharpening. –I cannot wait for this even to shop for thread! I’m updating the Show and Tell pages and soon more retreat pictures as well. 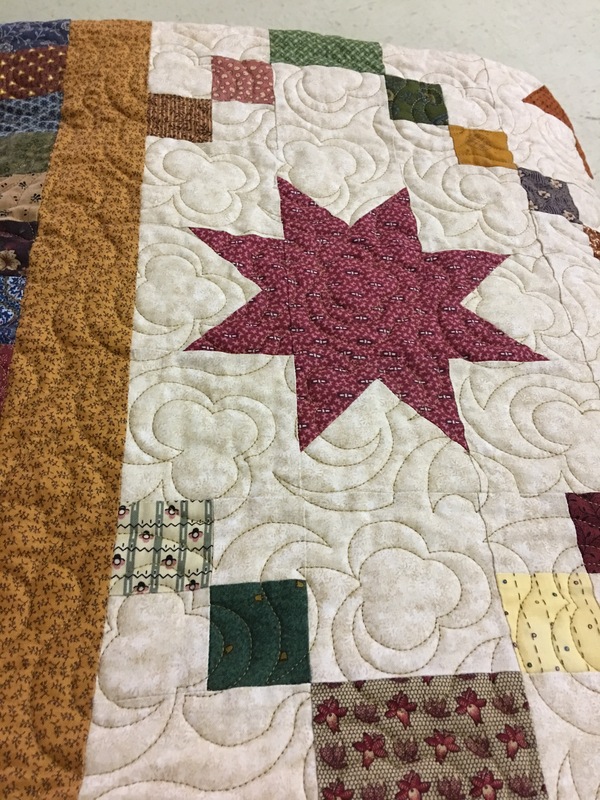 Have you worked on a charity Quilt lately? Ever? The Dogwood Guild has 3 charities, baby quilts for newborns, quilts to honor veterans, and animal shelter blankets. Come to a get together and find out how to use the opportunity to help others!